Credit risk is today one of the most intensely studied topics in quantitative finance. This book provides an introduction and overview for readers who seek an up-to-date reference to the central problems of the field and to the tools currently used to analyze them. The book is aimed at researchers and students in finance, at quantitative analysts in banks and other financial institutions, and at regulators interested in the modeling aspects of credit risk. David Lando considers the two broad approaches to credit risk analysis: that based on classical option pricing models on the one hand, and on a direct modeling of the default probability of issuers on the other. He offers insights that can be drawn from each approach and demonstrates that the distinction between the two approaches is not at all clear-cut. The book strikes a fruitful balance between quickly presenting the basic ideas of the models and offering enough detail so readers can derive and implement the models themselves. The discussion of the models and their limitations and five technical appendixes help readers expand and generalize the models themselves or to understand existing generalizations. 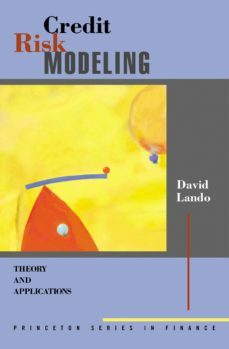 The book emphasizes models for pricing as well as statistical techniques for estimating their parameters. Applications include rating-based modeling, modeling of dependent defaults, swap- and corporate-yield curve dynamics, credit default swaps, and collateralized debt obligations.